VarageSale does access some of your basic Facebook info in order to set up an account for you. Your public profile information is automatically shared with VS and includes your email, name, picture, and locale. Your profile picture can be changed directly on VarageSale, if you'd like. 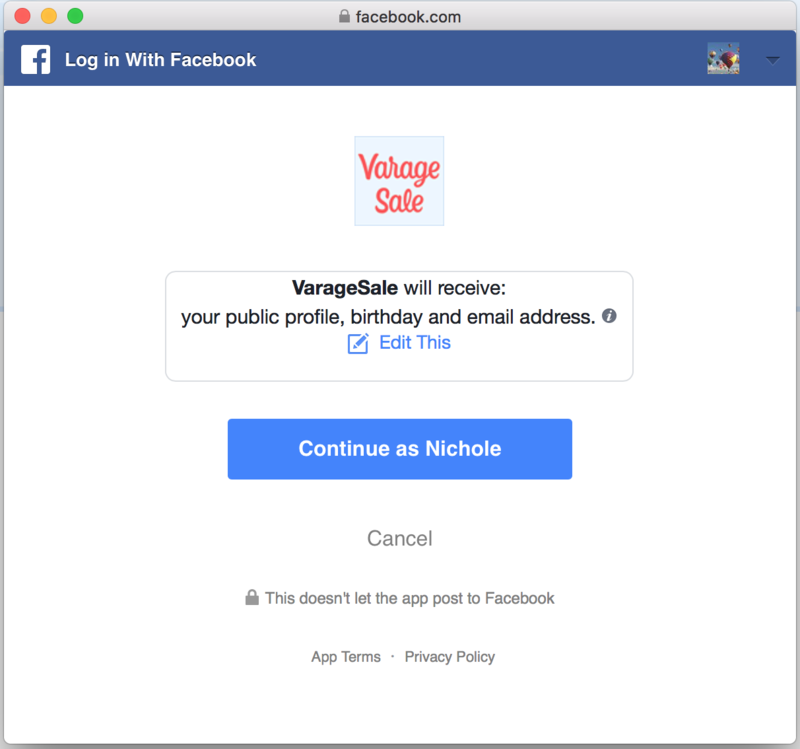 VarageSale additionally requests access to your friends list (so you can easily invite friends or share to others), and your birthday (which is used for informational purposes to provide a more enjoyable user experience for you).